Playa Tortuga Hotel & Beach Resort offers a delightful pair of restaurants designed to match superb cuisine with captivating Caribbean views. Our oceanfront setting provides abundant possibilities for memorable dining experiences on par with the top restaurants in Bocas del Toro. 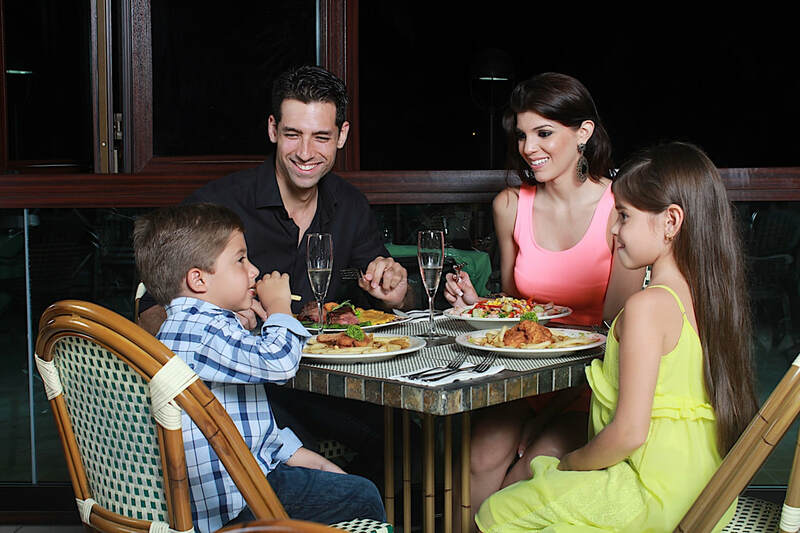 We welcome you to join us at our table, where our passion for food can be savored in every dish served. Room service is available for guests who wish to dine in the comfort and privacy of their room or suite. The sumptuous daily breakfast buffet features Panamanian and American breakfast options and seasonal fruit juices. The dinner menu features a la carte fusion and Bocatorian entrees. Children’s menus are available. Located at the end of our private pier, Baula is open for lunch and dinner. Choose from a diverse selection of a la carte appetizers, grilled meats, seafood, sandwiches and desserts. Watch boats and wildlife while enjoying classic dishes accented with tropical Bocas del Toro flavor. Arrive early to catch happy hour and toast the day’s end with a breathtaking Caribbean sunset.